I won prize money for that One King's Lane tote design competition (more on that later), and we decided to use it on a chair for our living room. We are greatly short on seating. We thought to ourselves that a chair may not be the wisest of purchases to make online, as you can't see or sit in ahead of time and all sales are final, but we went ahead and did it anyway. 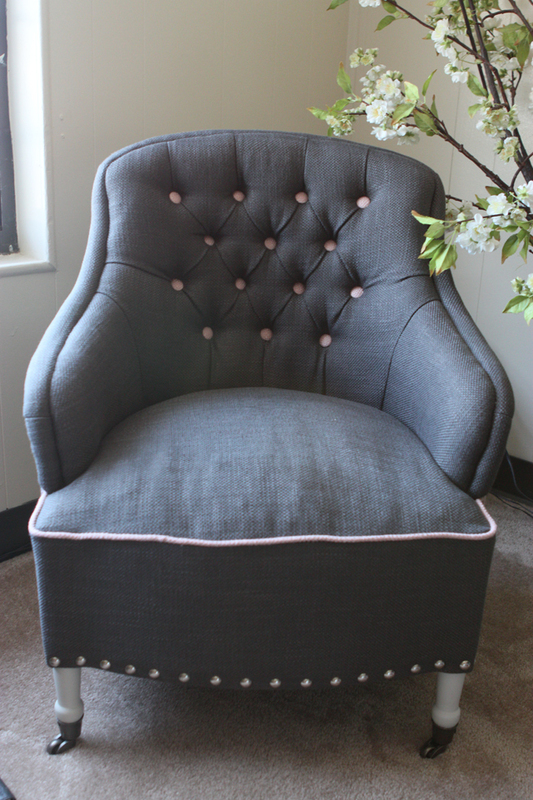 We fell in love with this adorable chair. Well it came and it is....TINY! Oops. 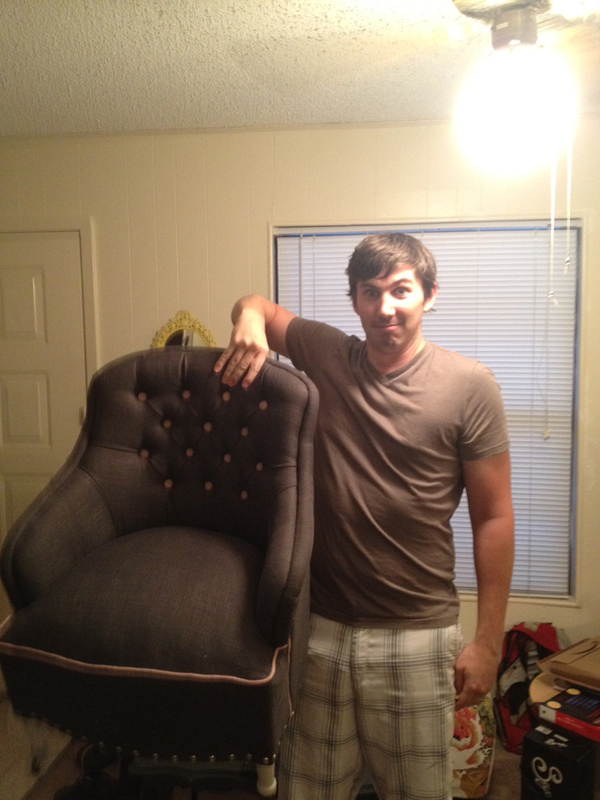 We decided we will keep it since it's actually quite comfortable, and we really do need some more seating, oh and it was FREE. Plus, it will be just perfect for a kids room some day, as it is child-sized. if you aren't going to use it could you pop it in an envelope and send it to dubuque? juliann's pet mouse's pet bug needs a chair.